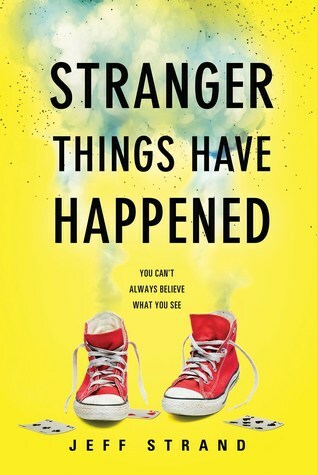 Stranger Things Have Happened by Jeff Strand is a hilarious, smart, and fast-paced Young adult novel. The story opens with Marcus Millian III, the main character of the story, doing a simple card trick in front of his parents. He is a 15-year-old freshman, short and stick thin, has curly red hair and freckles and has a girl best friend named Kimberly. He wants to be a magician just like his grandfather whom he calls either Grandpa Zachary or Zachary the Stupendous so he could bring the Millian name back into show business since the two generations of Millians after Zachary had gone into respectable careers: teaching and nursing. Marcus loves close-up magic like card and coin tricks, but he wants to create big, elaborate illusions that make people’s jaws drop and their eyes bug out. One day, Marcus and his family went to a fundraiser potluck for a local animal shelter. In the park, Zachary volunteered Marcus to perform a magic trick to showcase his grandson’s talent. Then, an old magician named Bernard Pinther came to them and insulted Marcus and his ability. As expected, Zachary defended his grandson and proposed a bet. The kid now needs to perform an amazing illusion to prove his talent and potential as a magician. Marcus was anxious about it but his grandfather told him that he’d be there to help him. Unfortunately, Grandpa Zachary died that night in his sleep. Now, Marcus has to succeed on his own but he has no idea what trick he’ll perform. He, later on, figured that he wanted to amaze the crowd by making a real, live shark disappear inside a tank. But how? Sinister Seamus, a murderer slash magician, then came into the scene… not to help, but to make things worse for Marcus by threatening to kill him if he fails. Luckily, he met Peter who offered to help him make a tank for his trick. Not only that, Marcus’s best friend Kimberly offered to help him have a shark as well. His team is now complete. This story contains oppressive themes like bullying, death, and murder or threats. Although these are expressed in a very light manner, I think people who go to review sites need to know about this to be warned of theses unwanted triggers. At first, I thought I wouldn’t enjoy this book because I’m not a huge fan of magic but I did because the author is freaking talented and has successfully put everything together perfectly! This book is one of the most entertaining and comical books I’ve ever read. I enjoyed reading the side stories that I think improved the plot of the story to a greater extent. I’ve heard a lot of complaints about the dialogue being unnatural to some, but this didn’t bother me at all. I think books like this call for dialogues like that. If you know what I mean. I enjoyed the hilarious exchange of words between the characters. I enjoyed the word sequence, writing style and everything related to that. Our Marcus started out as a very anxious boy with a very low self-esteem but he turned out to be the opposite in the end. He’s easily one of my two favorite characters. The other one is Peter. Peter is a huge but gentle teenager. He lets other kids bully him in school to protect his secret identity, which is very funny by the way, but at the very end of the story, he decided not to take craps from his bullies anymore. The only thing I didn’t like much in this story is that the entire planning for the magic trick thing was very long and the performance itself is short. Other than that, this story is almost flawless and simple yet unforgettable. Especially for me! Note: This review is based on an eBook I received courtesy of the publisher, SOURCEBOOKS Fire via NetGalley. Have you read The Diary of a Wimpy Kid? If you have and you liked it, I’m sure you will like Stranger Things Have Happened too! ❤ What are you currently reading right now? Let me know in the comments section below! 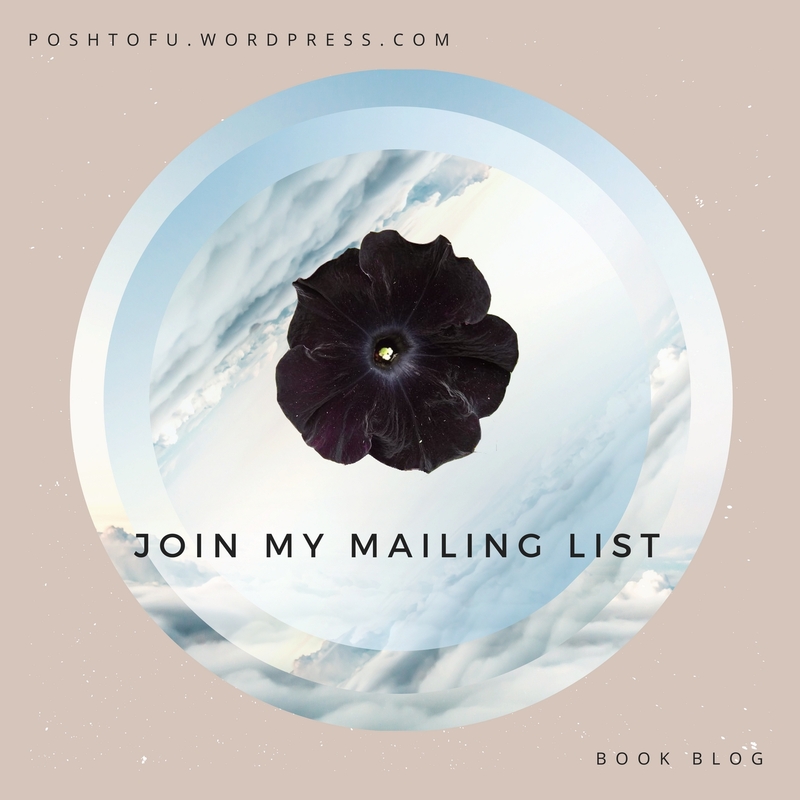 Please please please subscribe to my mailing list now to get my book reviews straight to your inbox! Click that fat button below to subscribe! Author of a bunch of demented books, including Pressure, Dweller, A Bad Day For Voodoo, Wolf Hunt, Single White Psychopath Seeks Same, Benjamin’s Parasite, Fangboy, The Sinister Mr. Corpse, and lots of others. Three-time Bram Stoker Award finalist. Three-time Bram Stoker Award loser. Four-time Bram Stoker Award Master of Ceremonies.